LibreOffice has many extensions to boost productivity with the suite. We picked a few of them to share with our readers. You can search and download the extensions from the official extensions website. Try them and let us know your experience. A style and grammar proofreading software for English, French, German and many other languages. You can think of LanguageTool as a software to detect errors that a simple spell checker cannot detect, e.g. mixing up there/their, no/now etc. It can also detect some grammar mistakes. Lets an external program or web application read text from Writer, Calc, Draw, Impress, Web Writer or the system clipboard. If you use it to read text aloud, it can help you to edit your writing or to compare your document’s text with a printed document. If you use it with a web application, you can translate your text to another language or check punctuation and grammar. You need eSpeak / Festival / Mbrola on Linux for speech synthesis. Extension that adds many new features to Writer’s stock find & replace function. Supports regular or extended expressions, various criteria for text search, text containing multiple paragraphs, multiple search and replace and many many more functionalities. A simple parser is used to identify elements in the supported languages; for example, keywords, literals, comments, and operators. Each element type is set to use a specific character style. The style sets the color used for that portion. Supports Bash, Basic, C++, Java, Perl, PHP, Python, R, SQL, XML, C#, 8085 Assembler, and x86 Assembler. Implements a new Review toolbar with some relevant command buttons that are spread out in various menus and toolbars. The icons represent options to view and edit changes, comments, toggle highlighting, toggle line numbers and clear the document. Allows the user to open and save documents directly on a WebDAV server. an addon designed to provide LaTeX support into LibreOffice. LaTeX equations can be inserted as images (SVG or PNG formats) and the LaTeX code is saved into the image attribute for further editing. Once the .oxt file is downloaded locally, open LibreOffice and navigate to Tools ▸ Extension Manager ▸ Add… and select the extension to install it. Note that some extensions might need JAVA to be installed on your system. Efforts to port LibreOffice and OpenOffice on Android have been going on for a while now. 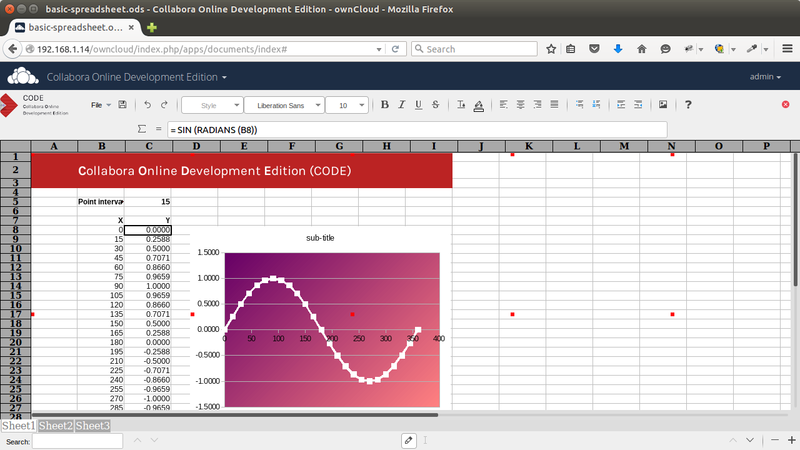 The first sustainable breakthrough comes from LibreOffice as the Beta Viewer hit the Android market today. There are bugs to be fixed, features to be added, polishing to be done but it’s a welcome first step. The app uses the same engine as the desktop LibreOffice and is from the same organization, Collabora. Rendering is a bit slow in the Beta and there are issues with browsing SD card. However, expect these to be fixed soon. Head on to the Google Play page for LibreOffice Viewer Beta and check it out. Report bugs to help the devs fix them. If you are a heavy open source software user you might crave for some of your favourite desktop applications on Android. How about your office suite? 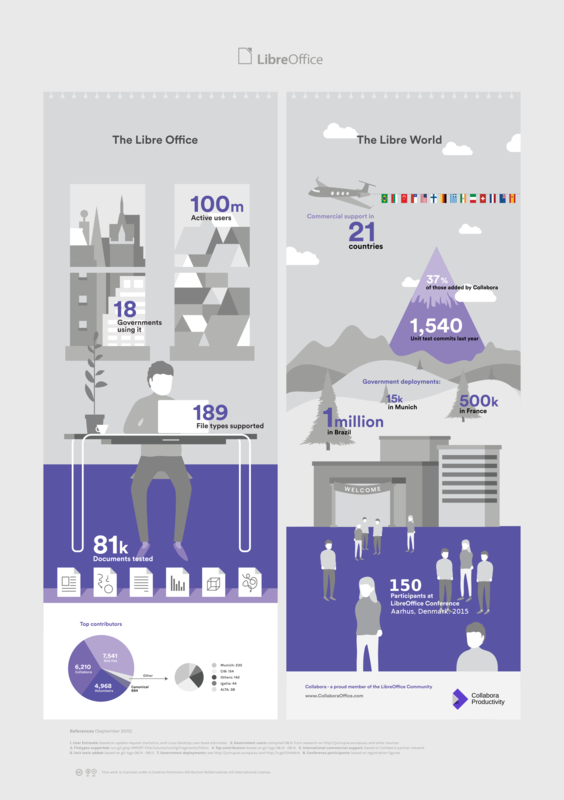 OpenOffice or LibreOffice? Let’s explore the current options. Already ported to Android as AndrOpen Office. View or edit your documents at will. All the major components – Writer, Calc, Impress, Draw, Math and Base have been ported. This project is not affiliated to the original Apache project though it is forked from the same codebase. This is not ready yet but in progress with daily builds available for testing. Head on to the main page with links to daily builds, developer page etc. Remember that the test builds are not quite something that you’ld like to try out at the time of writing. The freshly baked LibreOffice 4.0.0.3 is now available for download. If you are looking for an industry standard open source alternative for commercial office suites like MS Office, LibreOffice is one of your best options. And with MS Office profits running low in the last quarter it seems that people are opting out of paying for office packages and weighing the cloud (like Google Drive) as well as native alternatives. Originally a fork of OpenOffice, LibreOffice supports multiple platforms and is a stable product now. Try it out. Note: This article is outdated now. Check here for LibreOffice 4.3+ installation instructions. General settings: Turn off Tips and Help Agent if you don’t need them. Memory settings: Set Number of steps to 15, Use for LibreOffice to 20 MB, Memory per object to 4 MB, Remove from memory after 00:08 minutes, Number of objects to 4. To always keep LibreOffice loaded in memory enable the QuickStarter. I omitted the last step as I don’t use office suites heavily. View settings: I just changed Icon size to small and turned off both Anti-aliasing options. Accessibility settings: Turn off Automatically detect high contrast mode… if it’s OK for you. Java settings: Disable Use Java runtime environment. Works for the version I have. Power users of LibreOffice, please read the comments below before proceeding with this step. exec $VALGRINDCHECK $STRACECHECK "$sd_prog/oosplash" "$@"
exec $VALGRINDCHECK $STRACECHECK "$sd_prog/oosplash" "--nologo" "$@"
Additionally I have removed some unnecessary (at least for me) buttons from Writer manually.